NGT Dynamic Carp Black 360cm/3lbs prut 1+1 ZDARMA! NGT Dynamic Margin Stalker 270cm/2,5lbs/2.dílný prut 1+1 ZDARMA! NGT Dynamic Travel Carp 330cm/4.dílný prut 1+1 ZDARMA! NGT Dynamic Carp 4000 naviják AKCE 1+1 ZDARMA! Giants Fishing Bite Alarm TR hlásič AKCE 1+1! Giants Fishing Bite Alarm TRS hlásič AKCE 1+1! Giants Fishing Bite Alarm ST hlásič AKCE 1+1! Giants Fishing Bite Alarm STR hlásič AKCE 1+1! Giants Fishing SPX 3000 FD naviják 1+1 Zdarma! Giants Fishing Distant Carp MX 50 12ft/3lb prut AKCE 1+1! 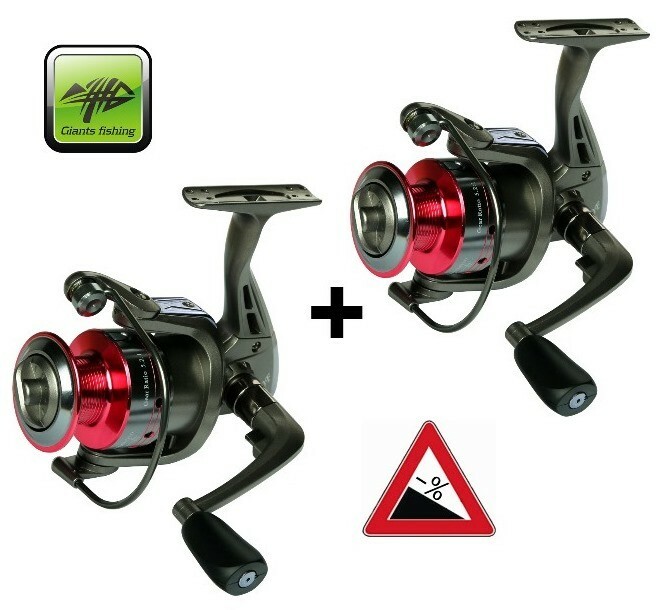 Giants Fishing Deluxe Tele Carp 12ft/3lb prut 1+1 ZDARMA! Giants Fishing Deluxe Tele Carp 390cm/3lbs AKCE 1+1 ZDARMA!